V6A Built by award winning ONNI. Great location in Downtown, the edge of Historic Chinatown. 2 bedrooms & 2 bath condo. Open living concept of living room and dining room, 9' ceilings, floor to ceiling windows that flood the suite withlight & trendy polished concrete flooring. The kitchen features full size Kitchen Aid stainless steel appliances, wood cabinetry & stone countertops. Enjoy entertaining & watching the sunset on your private 130SF terrace! 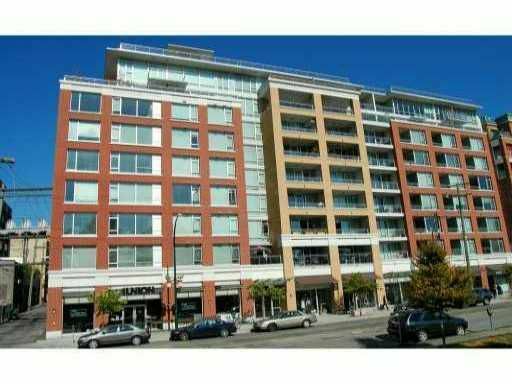 Conveniently located - steps to seawall, Tinseltown, SE False Creek, Chinatown, Gastown + skytrain. You will love living here! Tenant until end of July at $2200/mo.